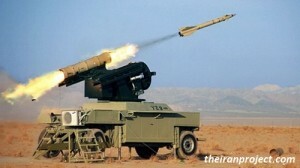 (The Iran Project) In 27th January 2013, Iranian defense ministry started production line of Ya Zahra-3 short range air defense system. At the first glance, the system is an improved version of Chinese FM-90 air defense system but there is a story in shades of the produced defense system. 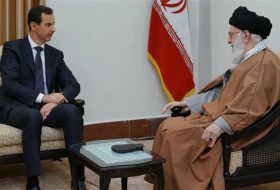 A story that Iranian officials cannot admit, but they left delicate traces for vigilant to pick. In January 1991, a multi nation coalition led by United States started operation desert storm over Iraq. Beside many things, the operation was highlighted for significant performance of by the time state of the art weaponry, AGM-88 HARM anti-radar missiles suppressing Iraqi air defense, and F-117 nighthawk stealth bombers humiliating Iraqi air force flying almost freely above Baghdad. few years later the story took a sharp turn above Kosovo. The western weaponry wasn’t able to break resistance of the ground forces or hammer the Yugoslavian air defense. Almost 60 percent of SA-6 SAM sites were unharmed and coalition forces weren’t even able to assess success of Close Air Support (CAS) mission due to usage of fake targets by Serbs. In respond strategists of United States proposed to alter US fighting strategy from a manner in which the weapons defined tactics to a new way in which tactics would define weapons. In the new system by using parallel measures (such as multipurpose bombs and missile which could do similar tasks) to gain objectives risk of the system being suppressed or ineffective would significantly reduce, actions taken by the command chain would be more determined and faster. Comparing with Balkan war in which destruction of air defense would majorly relay on anti-radiation missiles, in new concept each recognized air defense position is “a point” delivered to central or field command by secure data networks, then the tactical commander can decide by what type of weapon or which unit engage “the point” or even to play the recognized position to discover other concealed fire positions or enemy command centers. Taking such approach would need a significant technical capability to satisfy battlefield requirement. 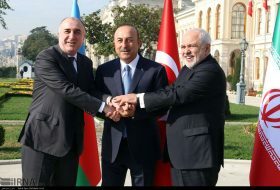 However in later years with successes Over Afghanistan, Iraq and Libya this new concept proved to be one of the most lethal and effective ways of fighting through the history of the mankind introducing new operational capability such as time sensitive strikes and various air-ground control modes. In recent years there have been growing interests even among the east bloc, China and Russia to acquire network warfare and integrate weaponry to serve a singular fighting concept. 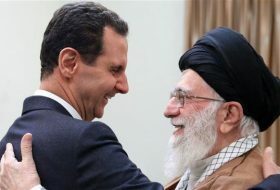 However for technological and economical giants taking such military approach is possible for less financed and modernized countries such as Iran it is unlikely that the method can be applied, but evidence indicate in recent years Iranians developed an ambition to pursue such tactic. 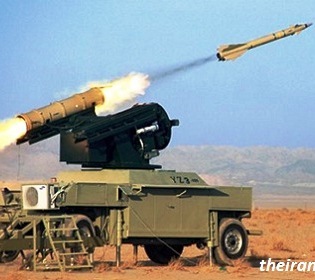 In 2009 Iran defense industry began production of a new anti-cruise-missile system. The highlights of the system were a brand new planar array system and a new six barrel 23 mm gun. 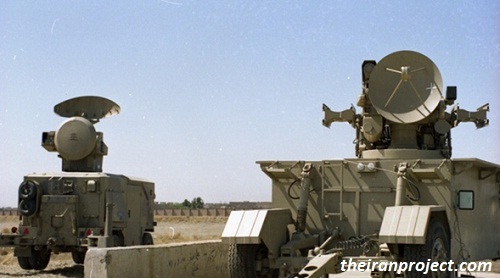 But for the first time, existence of 35 mm Swedish Orlikeon canons and a mystery French Roland missile system (probably captured during the war with Iraq) suggested that Mesbah is not a conventional air defense system but a concept that gathers several components to form a singular defense capability against cruise missiles threat. On Jan. 27th 2013, by revealing production of Ya Zahra-3 airdefence missile system, for second time clear signs of a new Iranian network warfare was seen. Judging by the geometry of the system and not by official statements YZ-3 is an improved copy of the Chinese FM-90 missile system, a heritage of French Crotal air defense system. Having a range of 15 kilometers for engagement with its missile and up to 20 kilometer for detection of threats, FM-90 was assigned with providing air defense cover for the Olympic Games in Beijing. 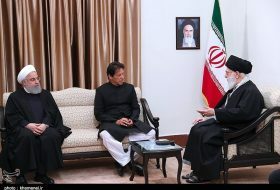 The system is capable of engaging with two targets simultaneously with a target range from UAVs and fighter aircrafts to Cruise missiles and ordinances released by foe aircrafts. The father of currently employed FM-90, the FM-80 system was entered to Iran in early 90s right after the eight-year long war. 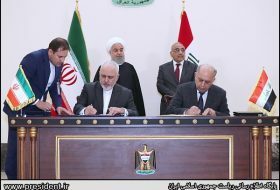 The contract was included under-license construction of the missile system by the name “Shahab Sagheb” under project Ya Zahra-1. The system showed significant troubles lacking mobility, early warning radar and poor TV tracking capability. 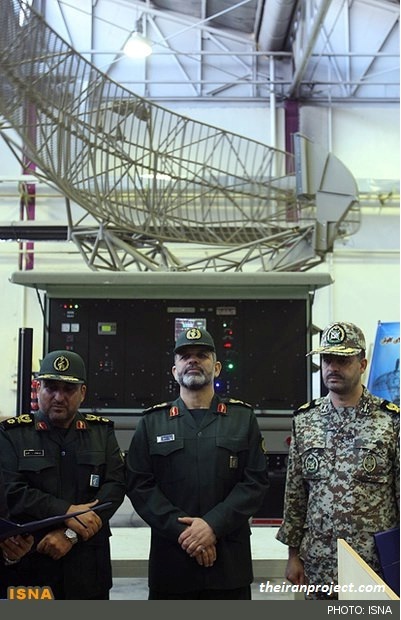 For a long time the Shahab Sagheb was utilized linking by more capable sky guard radars some of which improved by Iranian defense industries having better processing and ECCM capabilities. But having only a range of 8 kilometer against fast moving aircrafts and fast moving cruise missile and a relatively high minimum engagement altitude Shahab Sagheb was retired in early 2000’s. 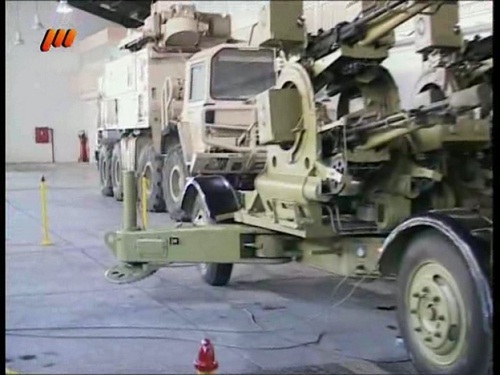 In 2012 the system was again put to service with several modifications in TV tracking system and later that year a brand new Ya Zahra-3 system was tested during an air defense drill, a system which had remarkable differences with old Shahab Sagheb system. The radar dish, sub components of radar and a new power generator and a new full digital consul was recognizable in the production line. A set of brand new optical tracking devices including an infra-red and CCD cameras and a laser range finder was also added to the system. But at the construction line ceremony YZ-3 did not presented alone. 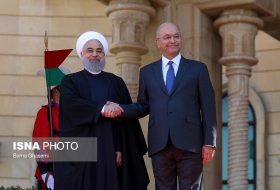 However it was the highlight of the day, along the semi-mobile system two other elements was demonstrated, a new production line for Ghader Air defense system, a highly modernized version of MIM-23 Hawk missile system, and a brand new mobile command and control center. 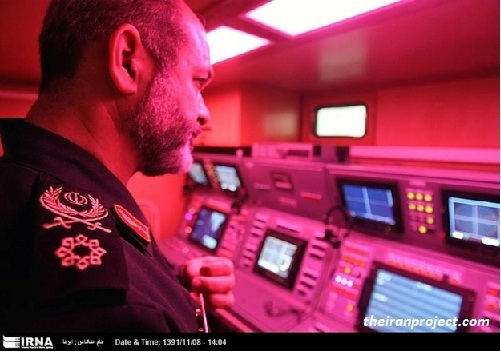 Ghader system was introduced nearly 2 years ago and has experienced several live fire tests during military drills and a separate control room capable of integrating several I-Hawk-Ghader sites. The interesting point in new command center is that despite old I-Hawk control units or previously seen Ghader control units which contain early warning station, commnder station and fire control unit, in new command center a command station and two exactly similar fire control position each equipped with one main MFD and two smaller MFDs above the main display, one showing a footage from a CCD optical system, was recognizable. 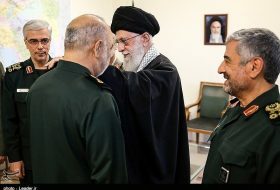 Such composition clearly states that Ghader and YZ-3 systems are controlled by a single command center and this ceremony is not just to start production line of YZ-3 missile system but to introduce a new capability of Iranian defense ministry: capability of production of missile air defense system to encounter low to medium and high altitude tactical threads. Judging by pictures emerged from ceremony the command post is a full digital and probably capable of integrating data acquired from each launcher or sensor position and provide tactical commanders with network warfare capability. 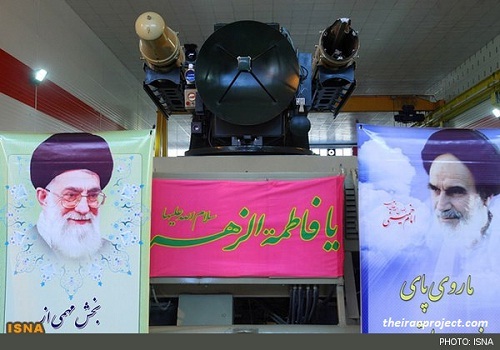 In the new conceptual weapon which consists of Ghader and YZ-3 anti-aircraft missiles along with each system’s passive and active sensors, provide Iranian air defense units by capability of engaging with target in range of 2 to 45 km and altitude of 15 m to 18 Km. integration of batteries and multi sensor tracking of targets highly reduce chance of the defense system naturalized by foe active or passive counter measures. As instance in confronting AGM-88E HARM missiles which use three mode GPS Passive/Active Radar guidance, the defense system can alert the possible targeted site in early stages of HARM launch say in more than 60 miles distance, using Jouya radar of the Ghader system (Improved version of I-HAWK PAR radar stated range more than 150 km) or ESM measures to turn off the radar and move out of the position before the missile get close enough to turn its active radar on. And simultaneously use decoys and jammers to deceive sensors of the missile, Or to provide cover with YZ-3 systems (capable of engaging with HARM missiles) for Hadi radars (Improved I-Hawk HPIR radar) of Ghader system while it is engaging with high-value targets. 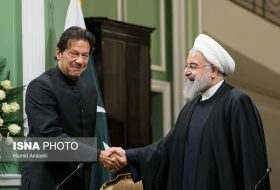 However the recent announcement is an important improvement in Iranians air defense capability, moving toward network warfare is a risky gamble for Iran, Iranian defense industry is rather young and immature and if it fails in providing necessary technology, especially for inner command and control circles, the whole Iranian air defense capability will collapse in firs stages of any confrontation.